See more objects with the tag , mobility, flight, automation, autonomous. 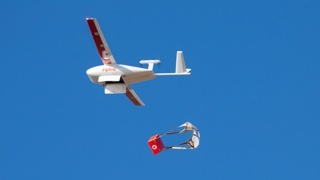 This is a Autonomous Drone Delivery System. It was designed by WorkHorse. It is dated 2014. Its medium is carbon fiber, fiberglass, heat-resistant synthetic fiber. 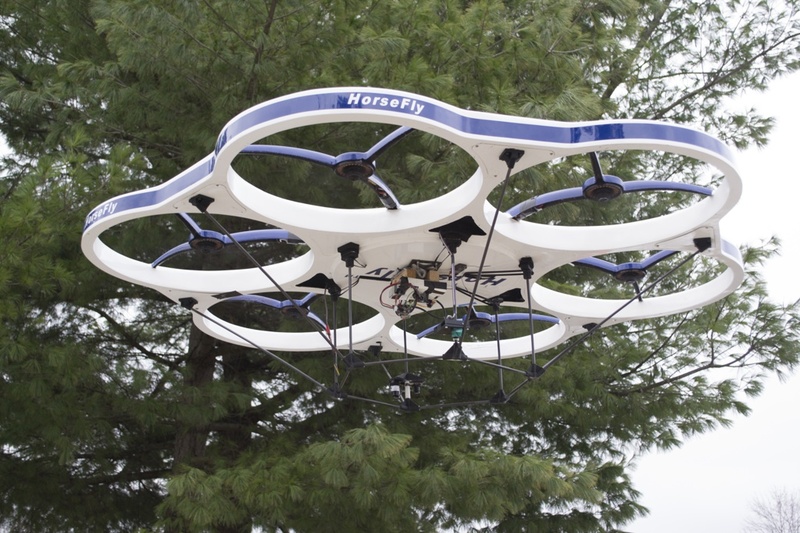 HorseFly, a truck-launched autonomous drone, has been successfully tested with United Parcel Service and now makes package deliveries to homes in the Cincinnati area. Designed to integrate with online e-commerce, the goal is for cost-effective, sustainable deliveries that reduce extra miles of driving. 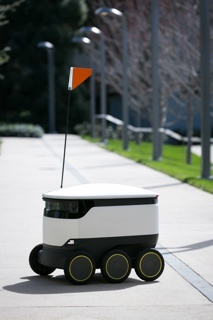 Once a package is delivered, the drone returns to dock on the delivery truck. It is credited Courtesy of WorkHorse Group Inc..
carbon fiber, aluminum, foam; parachute: wax paper, paper tape, cardboard. This object was previously on display as a part of the exhibition	The Road Ahead: Reimagining Mobility.